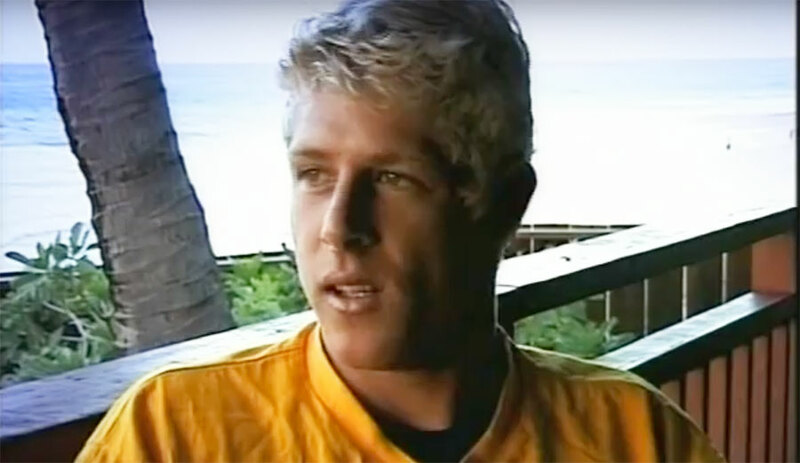 Mick Fanning has been on the tour for nearly two decades, and from the beginning, it was clear that he would leave an indelible mark on the sport. After nearly two decades on tour, Mick Fanning is officially retired. From the beginning of his career, it was clear that he would leave an indelible mark on the sport. Fanning, perhaps more than anyone save for Kelly Slater or Bethany Hamilton, made surfing visible to the non-surfing masses. Somewhat sadly, of course, it was because of the shark attack heard ’round the world instead of for his surfing ability, but within our little world, Mick is a living legend not because of the shark attack, but for one simple reason: he surfs incredibly well. For years, he has served as the benchmark for powerful, smooth surfing. The fact that Fanning chose Bells as the place to finish his career isn’t a fluke. Bells isn’t just one of the most iconic stops on the tour, it’s the place where, back in 2001, Mick Fanning fired his first real warning shot. In honor of Mick’s retirement from the world of competitive surfing, here’s a look back at five of the most defining moments in his long and storied career. 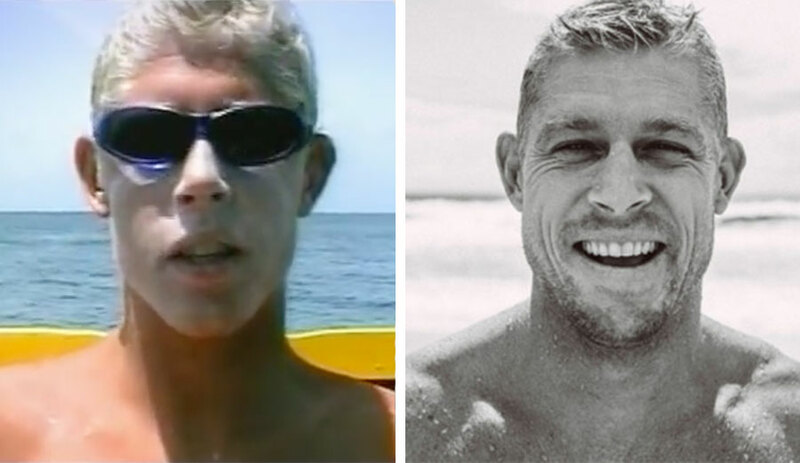 Back in 2001, Mick Fanning was 19 years old. Although he’d certainly turned heads in previous years, no one really expected him to win the Rip Curl Pro. In 1997, he won the juniors division of the Australian Nationals, then won the Pro Junior in 1999. In 2001, he earned himself a sponsor’s wildcard into the Bells event, and after storming a field of his heroes, he eventually defeated fellow Australian Danny Wills in the finals. That same year, he won the WQS, which placed him on the CT for 2002. Mick Fanning was not timid during his first full year on the CT. Unlike many newcomers onto surfing’s biggest stage, Fanning kicked the doors down and came out with guns blazing. In that debut year, he won the Billabong Pro Jeffreys Bay when he took down Michael Lowe in the finals. Lowe was just off a win at the Quik Pro at Cloudbreak. On the way to that J-Bay win, Fanning beat Taj Burrow, Kalani Robb, Damien Hobgood, Daniel Wills, and Guilherme Herdy, no small feat for a young, bright-eyed newcomer. By the end of the year, Fanning was ranked number five in the world and for his efforts, he walked away with the only trophy you’re only allowed to win once: the coveted Rookie of the Year. Fanning looked to be continuing his meteoric rise through the rankings until his career was almost derailed just two years after he set foot on the tour. In 2003, he placed fourth for the season, trailing Taj Burrow (3rd), Kelly Slater (2nd), and the world title winner Andy Irons. By all accounts, Fanning was winding up to win the 2004 title. Then, during a session off the west coast of Northern Sumatra, as he was attempting a floater, Fanning landed hard in the flats, causing his back foot to slip off his board. His front foot stayed on, and Fanning did the splits in the water. The ligaments that attached the hamstring to the buttocks were ripped in half and his hamstring tore almost entirely off of his pelvic bone. It was an injury that would force him to take six months off surfing, and one that many thought might ruin his career. Mick, though, through sheer determination and endless hours of painful rehab, proved everyone wrong. In 2005, his first event back after the injury, he won the Gold Coast Pro. Three years after his devastating hamstring injury, Mick Fanning won his first world title. It was a tight final against his rival and best friend, Joel Parkinson. He had drastically changed his lifestyle, fully committing to life as a professional athlete after his injury. Where Fanning used to be known for his wild party side, he was now known for his rigorous training routines and dedication to winning. He hired a personal trainer and went full steam ahead. “I got really selfish,” he told Surfing Magazine at the time. “That’s part of what you gotta do to win a title. It’s so fucked up.” It paid off in spades—Fanning made the semis or better in eight of 10 events, winning three of them outright. It was to be the first of three world titles, the latter two of which came in 2009 and 2013. That year would be one in Fanning’s life—the death of his brother and a divorce from his wife forced him to take a personal year in 2016. By then, he’d been on tour for 14 years and was already thinking of taking a break. While he did compete in a few events in 2016—most notably the J-Bay event in which another shark was spotted—he spent the year regrouping and figuring out exactly what was important to him. Now, a few years later, he’s figured it out. By his own admission, he’s lost the competitive drive that, paired with his talent, made him a force to be reckoned with at any stop on tour. Fortunately for fans of pro surfing, this isn’t quite the end—Fanning will be competing at the Founder’s Cup of Surfing in May. He’s still got the talent to stand at the top of the podium, but he’s not leaving because he lacks the skill to win. Instead, he’s leaving because his priorities have shifted. Winning, once such a driving force in his life, just isn’t that important to him anymore. So, Mick, whatever path you choose, may you find everything you’re looking for… and more than a few perfect waves.